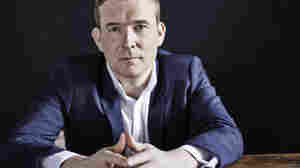 David Mitchell NPR coverage of David Mitchell: News, author interviews, critics' picks and more. 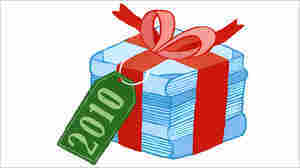 December 8, 2015  The Book Concierge is back and all new for 2015! Explore more than 260 standout titles picked by NPR staff and critics. November 17, 2015  Mitchell compares tweeting the story of his latest novel to escaping a straitjacket. "I like what I had to do to circumvent [Twitter's] restrictions," he says. 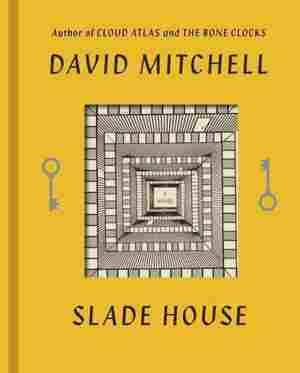 October 28, 2015  David Mitchell's new novel about a soul-devouring house embraces all the classic horror tropes. Critic Jason Sheehan says you may think it's contrived ... until you realize that you, too, are trapped. August 31, 2014  The plotting in Mitchell's new novel isn't quite as complex as in previous works, but it takes an abrupt turn into dystopian fantasy towards the end. "It's what the book wanted to be," he tells NPR. August 28, 2014  David Mitchell's new novel might span five perspectives and six decades, but he brings this complex mix together with signature elegance. The combination makes for a thrilling read. 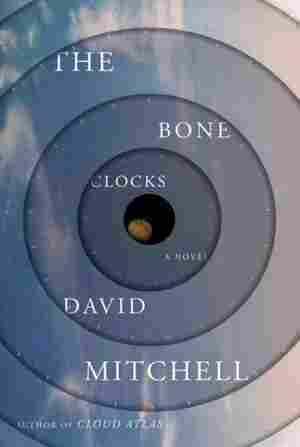 August 26, 2014  David Mitchell's new novel, The Bone Clocks, mixes fantasy and literary fiction in a decades-spanning saga of ordinary people who get caught up in a war between two factions of ancient near-immortals. April 1, 2011  Post-modern writer David Mitchell pulls off an old-fashioned yet action-packed tale in his fifth novel, The Thousand Autumns Of Jacob de Zoet. The story follows Jacob, a bookkeeper at an outpost of the Dutch East Indies Company, as he falls for a local midwife in early 19th century Japan. March 16, 2011  Critical darling David Mitchell serves up a screwball tale in a Dutch outpost off Japan in 1799, Sam Lipsyte brings his effortless humor to campus, and China Mieville recounts an epic "squidnapping." Desmond Tutu reflects on forgiveness, and translator Edith Grossman tells of channeling Cervantes. December 9, 2010  Fresh Air's resident book critic selects her favorite reads from the year, including Patti Smith's moving memoir, a feminist slant on election season and a new history of labor unions. August 21, 2010  The Thousand Autumns of Jacob de Zoet is a complex, historical novel set on a Dutch trading post in late 18th century Japan. Author David Mitchell explains the extensive research that went into re-creating a bygone era. August 5, 2010  Post-modern writer David Mitchell pulls off an old-fashioned yet action-packed tale in his fifth novel, The Thousand Autumns Of Jacob de Zoet. The story follows Jacob, a bookkeeper at an outpost of the Dutch East Indies Company, as he falls for a local midwife in early 19th century Japan. July 26, 2010  Stories about sober, upstanding Dutch trading clerks on assignment in Tokugawa-era Japan aren't exactly trendy in the publishing industry ... but that didn't stop David Mitchell. Critic Michael Schaub finds Mitchell's latest novel so inventive and complex that he expects it to easily qualify as one of the best books of 2010. July 7, 2010  Post-modern wunderkind David Mitchell pulls off an old-fashioned yet action-packed tale in The Thousand Autumns Of Jacob de Zoet, a novel set in early 19th-century Japan. The story follows Jacob, a bookkeeper at an outpost of the Dutch East Indies Co., as he falls for a local midwife. November 6, 2007  David Mitchell's nested box of stories isn't just cleverness, says writer Maile Meloy. 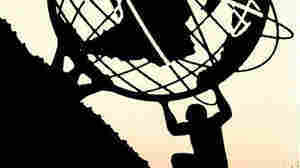 The novel has a heart, a fierce intelligence and a single, recurring soul. May 26, 2006  Here's a way to travel, without suffering the high prices of fuel these days: Read one of Alan Cheuse's summer reading book picks. One of them is bound to move you someplace beyond your beach chair. May 26, 2006  "Popular new British experimental novelist David Mitchell goes back into his own past and returns with what's for him a conventional story about growing up in England," writes Alan Cheuse of this selection in his roundup of summer reading for All Things Considered. June 16, 2005  Author David Mitchell displays in this novel a prodigiously sneaky gift for black comedy, a full-throated disgust at the hash mankind is making of the world, and the one thing you never find in the same package as all those other virtues: plot. October 17, 2004  The Booker Prize will be announced this coming Tuesday. 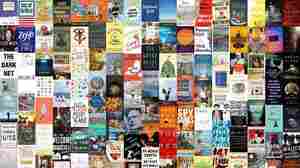 One of the leading contenders is David Mitchell's Cloud Atlas. With an experimental structure that incorporates six novellas, the question is whether this is a stunt or a true literary breakthrough. Martha Woodroof of member station WMRA reports.